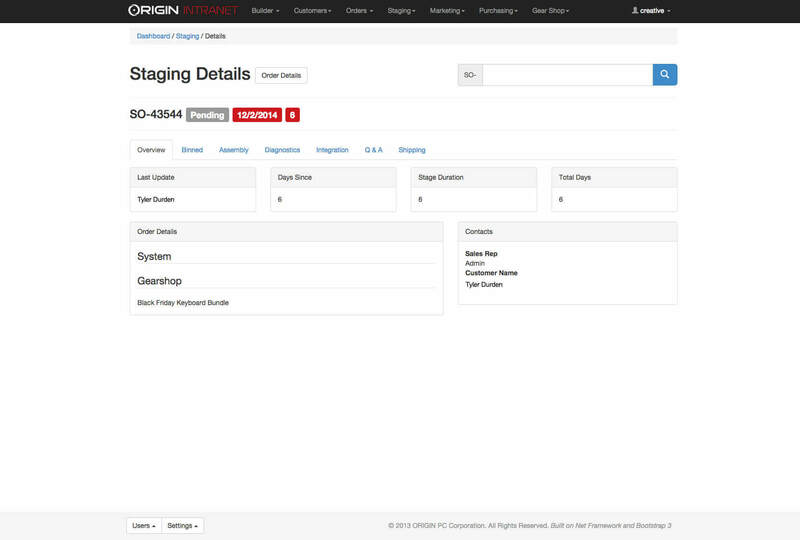 As ORIGIN PC grew, it faced challenges along the way. One of those was a tracking system for orders. Intended to communicate the order status to customers. I was approached by management with the request to build a “simple” order tracker with an area to put comments and type out the assembler / builder / user name. I immediately realized that this was only the tip of the iceberg and to pushed to for an in-depth study. Shortly after the meeting with management, I spoke directly to the sales and warehouse staff about every stage the order would go through. Then I started breaking down the stages by department and wire-framed the staging system. 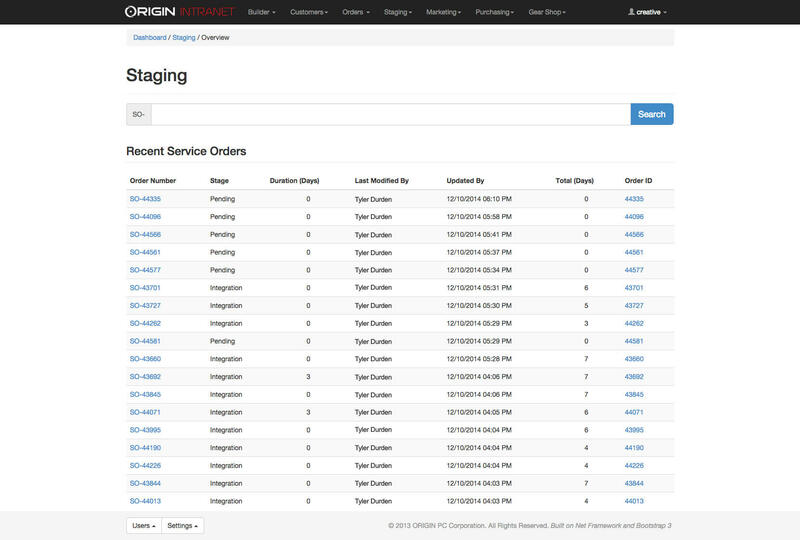 Features included an overview tab that included a snapshot of the order. 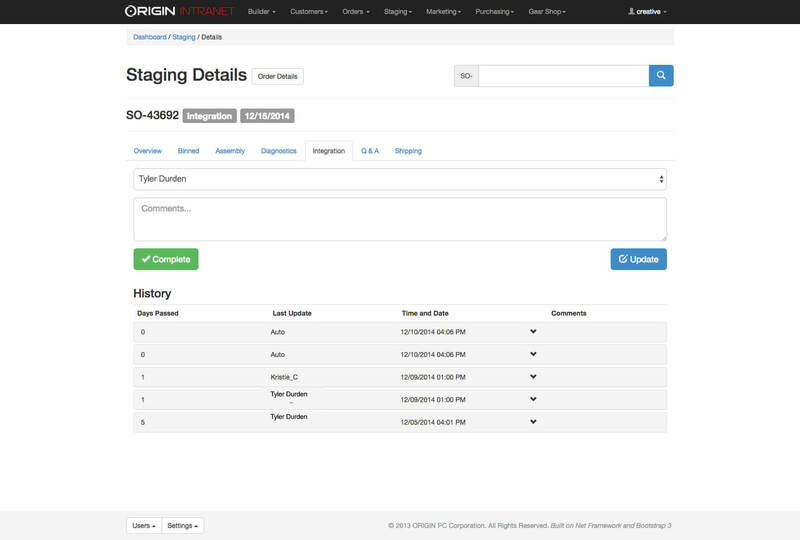 Real-time stage updates that were shown on different pages on the intranet i.e. the sales section. Late orders were easily detected at the top and in red while showing the total amount of late days. 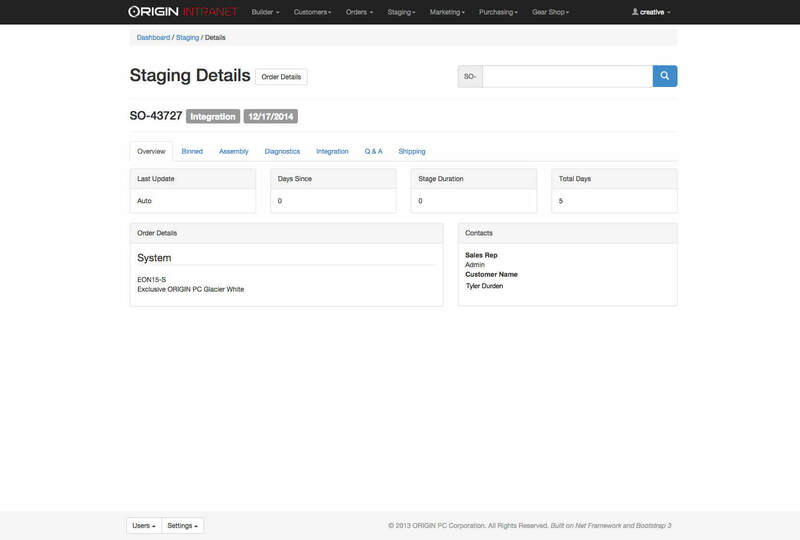 Functionality also included automatically moving the order to the next stage once it was completed by the user. If the order needed to go back to a stage it would automatically update based on a users comment. This allowed the status to be as close to real-time as possible while reducing extra steps for the user. The comment section included features such as a user and timestamp history log. Responsive framework which allowed the application to be used with ease on tablets and mobile phones. This is one of my proudest achievements in my career despite the lack of UI design. It allowed me to really dig deep into the UX and fix the problem for the user and customer.